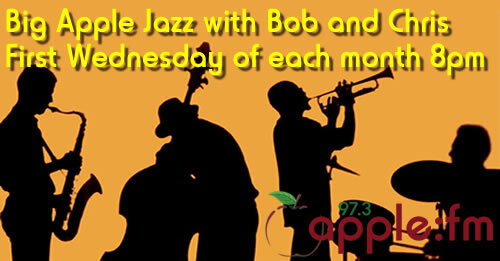 For all you “jazzers” out there, every first Wednesday in the month Bob Wood and Chris Handscomb bring the best in jazz and blues from British Trad to Latin jazz to American roots and jazz-funk. From Duke, Ella and Acker to Miles, Herbie, Gregory and Joss. From the 1920s to the 20-teens and all points in between. It’s “hot” and “cool” at the same time. How can this be? You’ll just have to listen to find out! Pipe and slippers, or dancing shoes – you choose – we’ve got it all! Please join with us.